It is very important to know where the Moon sits on your natal chart. The positioning of this star is what determines how you deal with your emotions and intimacy. Get to know more about how Moon in Scorpio influences your relationships. Moon in Scorpio is ruled by element water (just as Cancer and Pisces) and the planet Pluto. Maybe this combination makes this Moon the most intense in the Zodiacs because the Moon itself is already of great energy and Scorpio is the most visceral of the signs. When someone who has Moon in Scorpio feels, it is like a volcano. They do not explode easily like Moon in Aries, but their emotions are connected with the center of their being and they go through several layers until they are exposed to the world. Dealing with emotions will be hard work for those who have this Moon. First, because you have to understand them and then try to control them in a way that does not hurt others and yourself. Yes, because as facts and relationships shake their deeper structures, they can react at the same intensity and become very spiteful and even vengeful. Moon in Scorpio makes very loyal people to all that they relate, and they demand in the same way. If this does not happen and they feel betrayed, their ability to forgive is attained. These people tend to hold sorrow for many years and remember with all the details of the suffering that caused them. Maybe that suffering they carry through life will become the way Moon in Scorpio takes things. These people have incredible ability to regenerate. It is probably those people who have suffered a lot but are still standing and you do not know how. It is admirable the survival instinct of who has this Moon, even in spite of this dark side. Do you know those people who even when they are very young seem to know a lot about life? Do they seem to have something special in it that you do not even know very well? 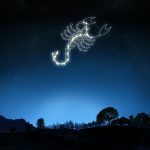 Moon in Scorpio! Turning negative energy and not letting affect your karma is the key to you. Try to meditate whenever possible to realign the great flow of emotions that you have in your heart. People with Moon in Scorpio should direct all this energy to their curious and researcher side. Determined and strong-willed, they can do well in complex professions where things need to be discovered, like archaeologists and marine biologists. In intimate relationships, this aura of mystery and intense energy can be fatally seductive. The sexuality of these people, as you may already imagine, is a world where you may even fear entering. But you certainly will not resist knowing. Out of bed, the relationship is still intense but firm. Moon in Scorpio does not like to get involved superficially with others and looks for someone who gives them security and makes them feel complete. If the Moon is well positioned, it is a good candidate for life partner if what you are looking for is someone sensitive and with high personal magnetism.